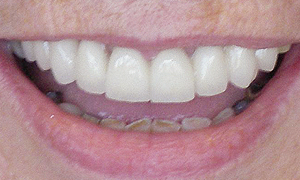 Dentures are removable restorations for missing teeth. 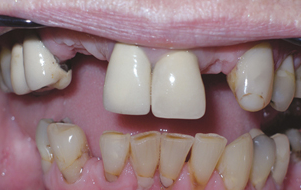 They can be partial, replacing some teeth, or complete, replacing a full arch of teeth. They can be made with a very natural and attractive appearance, in full consideration of your wishes. Why would a Dentist recommend this treatment? Tooth loss can affect your ability to chew and enjoy certain foods as well as affecting speech. A complete denture can provide support to your cheeks and lips, without this support your facial muscles may sag making you appear older. Your dentures should fir well, be comfortable and look like natural teeth.